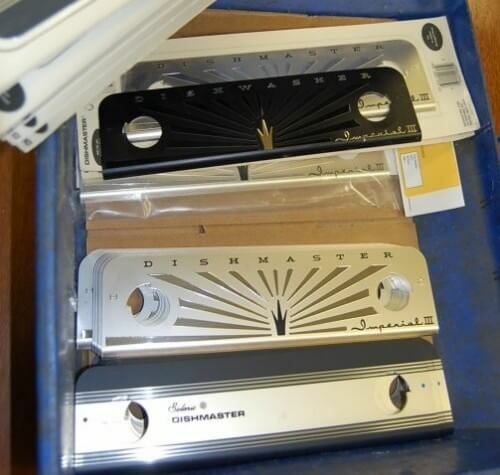 If you buying the traditional-style Dishmaster (M-76) kitchen faucet — or have one already — and want to add even more vintage bling, here’s news you need to know: The folks at Dishmaster still have a stockpile of vintage New Old Stock cover plates for the housing unit. I have three of these designs in my vintage hoard and I can attest: They are lovely. They have about 15 of the “silver sunburst” design cover plates, available for $39 each. They have more of the “Solaric” design — about 80 pieces, and they sell for $27 each. No more of the black sunbursts are left. I knew about these cover plates, because I had seen them when I visited the factory in 2008 (wee early days of the blog!). I featured the fabulous old cover plates in this story, but I never called them out separately. So here. Thanks, Pam, for the reminder. 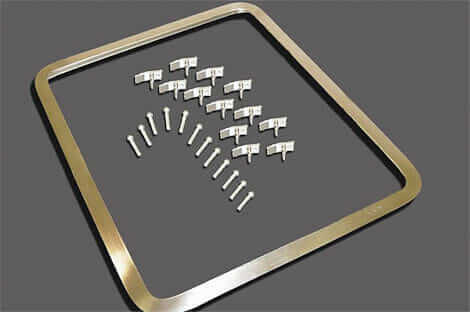 Get ‘yer vintage Dishmaster cover plates soon, because when they’re gone, they’re gone. 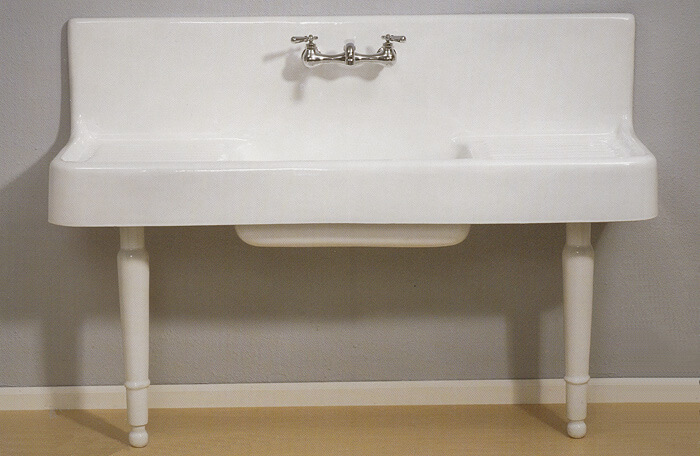 Reproduction 1940s-1950s farmhouse drainboard sink now available — big news! Update: Apparently readers bought them all! I just ordered a Dishmaster Imperial 4 M76 model after seeing a great retro model on e-bay from 1948 item 191801598134 and looks fabulous but it’s condition may or may not be 100% functional ever again as there are no parts for it. The factory will not even rebuild it. I would love to buy one of your retro sunburst or the like FACEPLATES you show in your pictures if by some miracle you still have any left in stock. 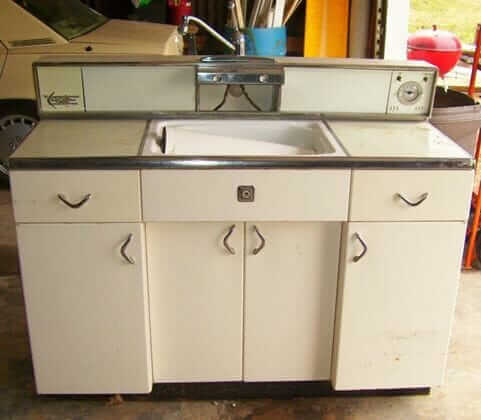 The factory is out and I would love th retro look for our 40s 50s kitchen we are resto-moding. If by chance you do please contact me I would love to buy one! !